These are an absolute must have on a night out! Someone's top is always too low, someone's skirt always splits. If none of your own squad then there will be a poor girl in the toilet in need of one! You'll always be the hero if you keep these in your bag. Atropa Belladonna Eau de Parfum, and it's a really lovely wearable scent. You will be so thankful to have one of these when you need a little refresh part way through the night! 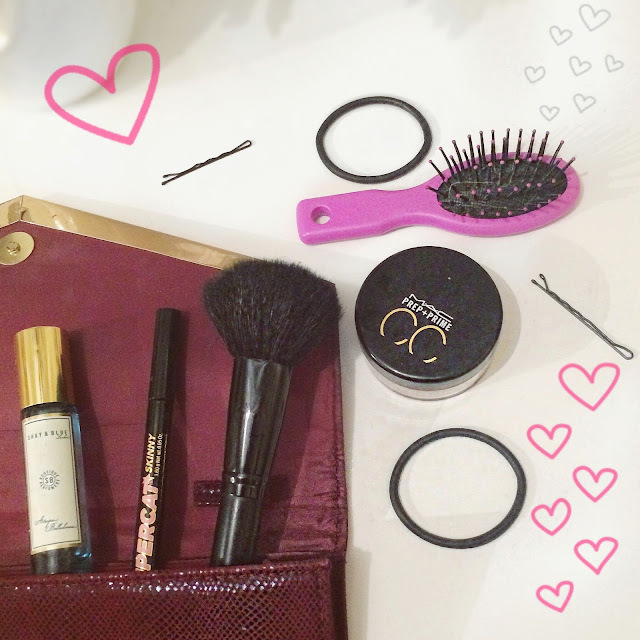 Carrying a small brush in your bag will be a lifesaver when there's a hair disaster. 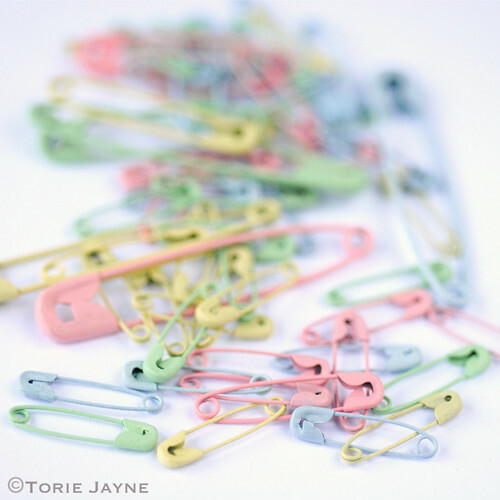 Make sure you keep some hair grips in there too, just in case your hair needs a bit of readjusting throughout the night! 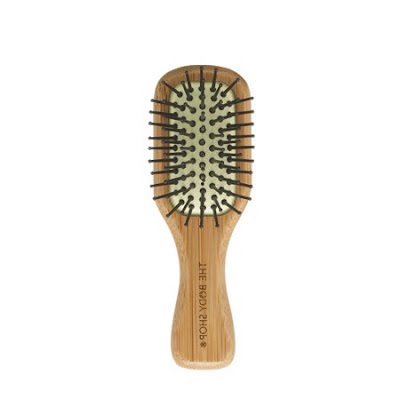 This cute bamboo hair brush is just £4 from The Body Shop. 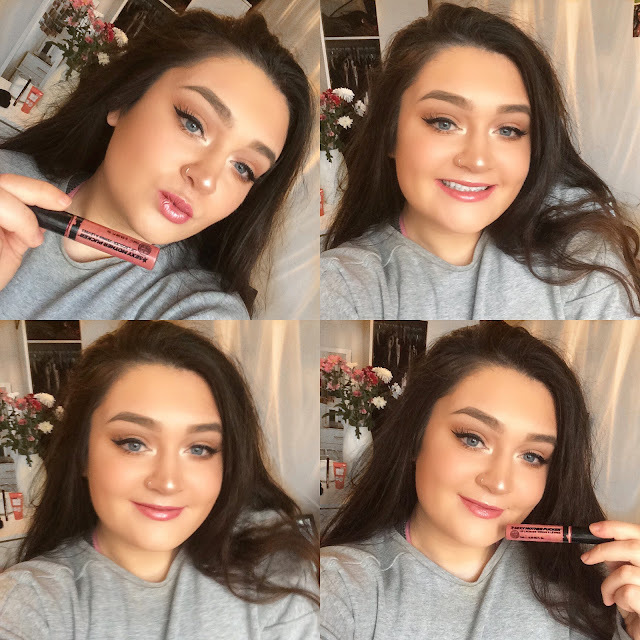 You always need to keep your lip colour on you for touch ups throughout the night - My go to lipstick is MAC Twig, which is the perfect rosy-mauve. I normally wear it over Whirl lipliner, and it's so so lovely! However, I am the worst person for losing makeup on a night out, so I would always recommend to buy a cheaper dupe and take that out with you! Rimmel's Kate Moss Lipstick in Shade 08 is the best dupe for Twig, so I'll always keep that in my bag instead. Obviously if you're going out all night then you need some type of powder with you! You're bound to get sweaty with all that dancing so it's crucial to have something to blot that shine away! My favourite powder is the MAC Prep + Prime CC Colour Correcting Powder in 'Neutralise'. I love it so much more than a translucent powder because it's tinted yellow, making it so brightening on the skin! If you're wearing eyelashes then you absolutely have to take these out with you! I've had so many nights where I've genuinely gone home because I've forgotten my eyelash glue. Dramatic I know, but no one looks good with half an eyelash hanging off their eye! The best eyelash glue of all time is the Ardell Duo Lash Adhesive, it's honestly the best thing I've ever used! I always liquid line my eyes, apply my lashes and then line again to cover any glue, so this duo has to be in my bag to fix my lashes. 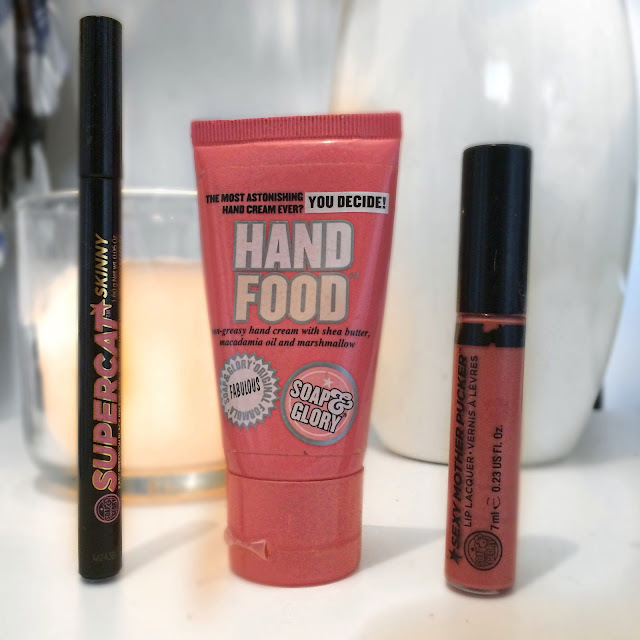 My liner of choice has always been the Soap & Glory Supercat Liner, and this skinny one is the best of them all. It's super black, long lasting and so precise - so your flick will be perfect! 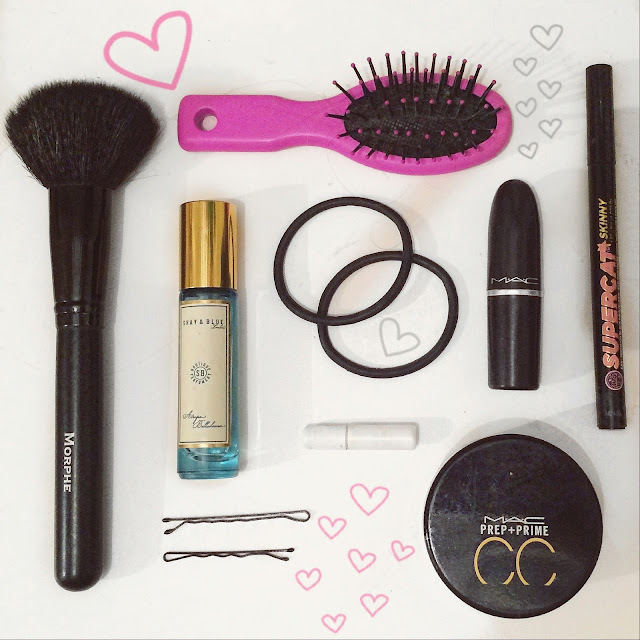 I guarantee if you take these things along with you on a night out your evening will be disaster-free! If you’re committed to making it a big night, why not check out our favourite pink cocktails! These drinks are delicious, perfect for Galantines and hilarious to make with your gals. Our faves are the Raspberry Blush and Berry Kissable. Get shaking! What are your ride or die clutch bag essentials? And how will you be celebrating GALentines this year? I've Joined The Soap & Glory Squad! I'm so so so excited to announce that I am the Soap & Glory Digital Glambassador for the University of Manchester! This basically means that it is my job (eee!) to write all about beauty and all the things I love! Playing with all the products at Soap & Glory HQ! I am so so thrilled to be working with one of my favourite brands of all time. 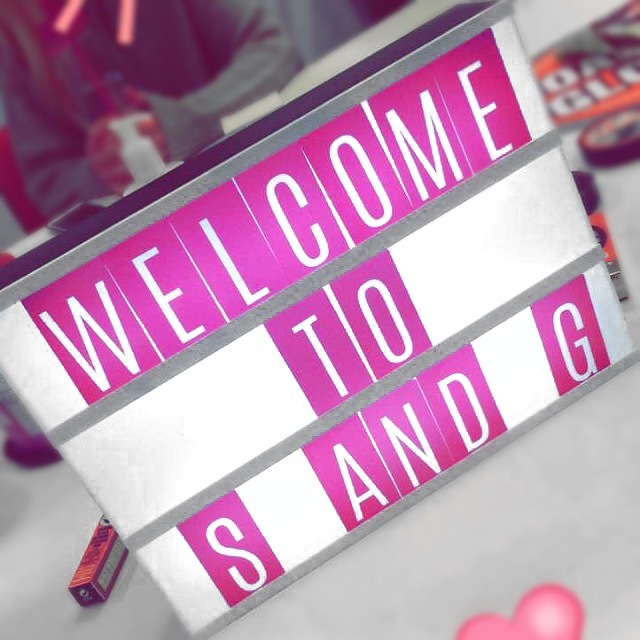 My job is just to spread fun and fabulousness all over campus, and make sure you guys know that Soap & Glory is the biggest & boldest beauty brand in Manchester! The cutest welcome pack sent by the S&G team! So I'll be blogging weekly, whether that be honest product reviews or exclusives on new exciting launches. I will also be posting how you can enter our competitions or get your hands on some amazing S&G goodies - so make sure you keep up to date with my blog, facebook, instagram and twitter! My holy grail products - used and abused as you can see! If you're reading this, and you're not from the University of Manchester, then don't worry! Birmingham, Bournemouth, Bristol, Caledonian, Durham, Edinburgh, Exeter, Leeds, Liverpool, Loughborough, Newcastle, Nottingham, Plymouth, Reading and York! So make sure you keep your eyes peeled for all my future posts on Soap & Glory, as well as everything else!